As I sit here with my warm cup of coffee, staring out the window of The Bean Hive, my coffee shop, oranges, yellows, reds, and greens have painted the trees along the shore of Honey Springs lake have created an amazing painting no artist can duplicate. The warm smell of cinnamon, sugar, hazelnut, and a hint of vanilla extract makes my heart soar. This means the Bean Hive Coffee Shop is in full swing with our special fall coffee blends and the amazing Pumpkin Spiced cookies I only bake and sale this time of the year. Cream together eggs, sugar, stick butter, then add can of pumpkin, chocolate chips and walnuts. Mix it all together. Shift together the cinnamon, nutmeg, pumpkin pie spice, baking soda, cream of tartar and flour. Add wet ingredients to dry and mix well. Add raisins here. The stiring might take some muscles. :) Makes a large batch of cookies. Bake at 425 for 12-14 minutes. The wonderful smells are just the beginning of the fall season in Honey Springs. The cookies have ten more minutes until they are baked to perfection. I took the opportunity to step out on the boardwalk to look around. The fall crisp air filled my lungs, my eyes looked around and my body came alive with the hints of the upcoming Halloween Regatta. The last big event for the Honey Springs Lake Marina that takes place along the lake shore in front of the Cocoon Hotel. It's not just any Halloween party. It's THE party of the year. There's a boat parade where all the boats are decorated, there's a pumpkin carving contest on the beach, apple bobbing fun, and hayrides win a horse drawn wagons to the Hill's Orchard. Jean Hill has really outdone herself this year. Her pumpkin patch has grown bigger and better pumpkins. The corn maze is one to tackle. The best thing about the Halloween Regatta is the tourists that come year after year to start off their holiday season. And that's what gets Pepper excited. He loves all the extra attention he gets along with some of the special treats I make just for our fur loving babies! I wonder what costume I can put on him this year? Maybe the killer drank decaffeinated. Corn maze, apple bobbing, and pumpkin carvings are a few of the things tourists, who are visiting Honey Springs Halloween Extravaganza, are expecting to see. But when a dead body is discovered on the banks of the Honey Springs Lake and a masked murderer running away from the scene, there's a realization this wasn't part of the holiday fun! Roxy doesn't know what's going. There's been a murder and people are ordering decaffeinated coffee? She's got to get to the bottom before the town gets too sleepy and falls into recession right before the winter months hit the cozy town. 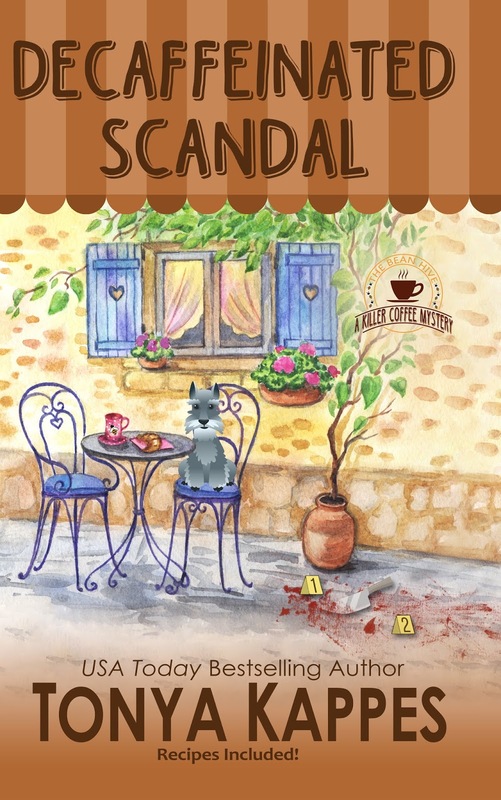 If you like quaint, cozy, small towns with a tasty murder, you're going to love the KILLER COFFEE MYSTERIES! Each book can be read as a stand alone! Start your adventure now and buy them today! 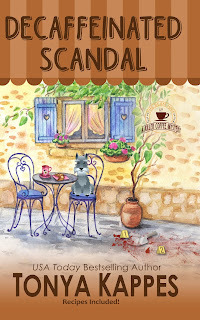 Book Five in the very popular A Killer Coffee Mystery Series by USA Today Bestselling Author Tonya Kappes. Have you ever dressed up your fur baby for Halloween? Leave a comment to win a special key chain with one of the KILLER COFFEE MYSTERY book covers and a print copy of COLD BLOODED BREW, book 4 in the KILLER COFFEE MYSTERY SERIES! My cats don't like to even have collars on, but my dogs don't mind dressing up! From sweaters to scarves to cute hats, they have no issue with their 'Mom' making them look adorable! Hope to read your new book soon! My Charlie loves his sweater. I tried to dress my dog up in a "Santa" outfit once. He was so sad while it was on him, that I couldn't make him wear it. I haven't dressed up my cats before, but they sure would be cute. I bet they would be! I never have, they get so upset when I try to even put a coat or sweater on them that I said no to costumes. Hahha! I bet he was mad. They just feel so unnatural to them. Hat? On a cat? I'd love to seen that! I tried dressing up my papillon, Luna, in a cute witchy hat and fancy dress with cape, but she hid and shredded the costume before I could take her out and show her off. Last year we got some bat wings for our 3 cats, and they looked amazing in them. However, they hated them: 2 of them just laid down and refused to do anything, and the third put her head in a corner and stood there (facing the corner) for 20 minutes until her wings were removed. Poor baby!! She didn't like being a witch! I'd love to see those bat wings!! Never, I would be taking my life in my hands. They barely tolerate my petting them. Yes, our Sheltie was Superman. Yes, I have dressed them in small costumes, but nothing too elaborate. Maybe this is the year to try again. Thank you so much for the chance to win! I'm glad they let you. Scooter isn't into it either! I bet he would be cute! My scooter doesn't like it either. I tried on my cat one time and got too many scratches. I tried it on my dog another time and it lasted all of 30 minutes! Lol. I tried once of dressing my dog in a Halloween costume as a pumpkin. Once it was on her she started biting on it and it made her spin in a circle..so we took it off her. Poor baby!!! she got all dizzy. I have tried dressing up my dogs for Halloween but they would not cooperate. They rolled around, rubbed their heads against furniture and tugged at costume with their mouths. It was quite comical but unsuccessful. Never have. My babies are extremely uncooperative! thanks for the chance to win! my Rambo would never cooperate! I bet he's so cute! I dressed the three dogs up and drove them to the bank drive-thru for cookie bones. To be honest. I've thought about it, but have never done it. It would be fun though. Some of those costumes are so silly. Yes, we have but the dog would normally just stand like a statue. Would never have stayed in some of the elaborate costumes I see people put their pets in. Thanks for the giveaway. I shelter elderly cats & tend some feral colonies.No one would like to play dress up. (Cat food donations are welcomed. Congratulations on your release. Your book sound so good. As to dressing up animals, I never did dress ours up but our daughter and her family dress up their Greyhound every Halloween and he's so good about it too. He's definitely one of the family as they all dress up with a themed set of costumes and he's into the excitement. It's very cute. I'd live to become the recipient of your book. I can be contacted on Facebook. I have had problems leaving email info publically. Thank you. Before my dog passed he hated anything on his body. He would even try to pry off his collar. 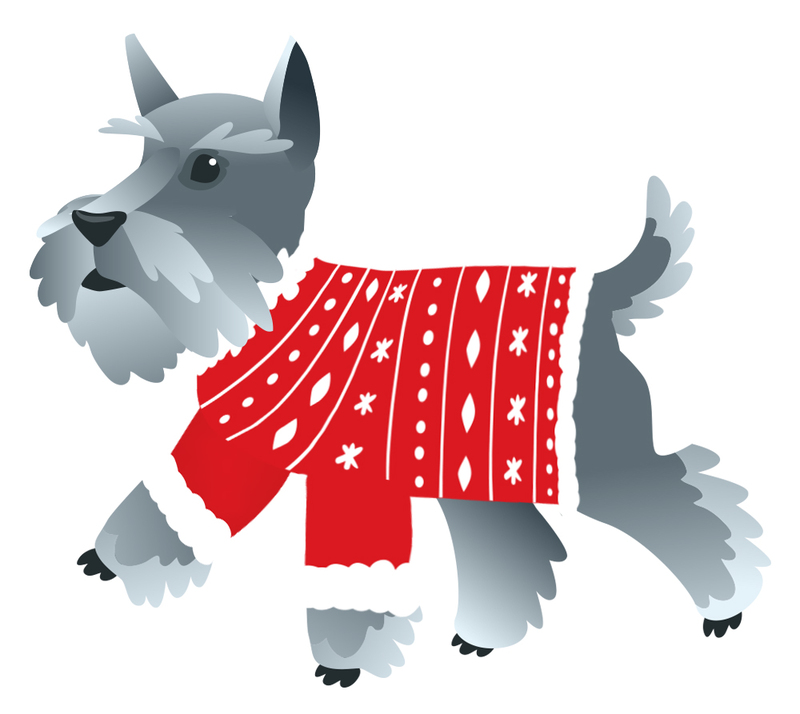 Yes i would buy them holiday pjs fron target and costumes from petsmart. My cats are not fans of any type of clothing. They even freak out over a simple bandana on their collar. Yet, every December, we pop a Santa hat with beard on them for about ten seconds, and snap s photo. The exasperated faces make hilarious additions to holiday cards. Cats are not into costumes. I have tried hats and ruffs over the years. Better luck with the ruffs. No I haven't dressed up my cat or dog but I really want to. Want to dress the dog as a dinosaur and the cat as a shark. Both would not be happy at all about it but they would look oh so cute! As long as it is in sweater form my dog will wear it, hats are a no go. I bought a cow hat for the cat, he was not amused be me. Yes I have my dog Josie she has a princess dress with a crown. I haven’t but our daughter has. She used to dress our dog up in all kinds of outfits! He heated it but would endure it for her! I don't dress up my fur babies. They don't have the patience for it. The only thing my dog will tolerate (at least for a few minutes) is a hat. I have not, but now that I recently got not one but two black kittens I might have to this year, especially since Halloween is my favorite holiday. Two!! Hahha! They'll be twinning. A couple of years ago my husband dressed as Bugs Bunny and our coonhound as Elmer Fudd. They won the contest, and people still talk about it. It was fun. browninggloria at hotmail dot com. OMG..I'd love to see a photo of that! Adorable! I tried to dress my dog up one year, but she wouldn't let me come near her with the costume. She did let my mom put reindeer ears on her for a Christmas picture, but of course she would do anything for her grandma. Hahha! They are smarter than we know! My cat is always trying to take off her collar. There's no way she'd let me put a costume on her. We tried to put a reindeer antlers headband on our American Bulldog one year but even though he was good-natured, he wasn't happy with the antlers! Our daughter's dogs don't mind wearing costumes though and they're cute on Halloween and Christmas. I love the scarf idea! yes, but he usually rips it off faster than we can put it on. We have a little witches hat for our cat, he hates anything on him though. I haven't tried dressing up my cats for Halloween. My cat, Hamilton, has a collar off in just minutes when I try to put one on him, so I'm pretty sure he wouldn't wear a Halloween costume. Jefferson, he might let me dress him up, he's pretty mellow. I have no fur babies, but I have two kids. The don't let me dress them either. I have not but our son put a doggy sombrero on his walker-beagle mix-really cute. Not for Halloween, but for Christmas I got my cat this really cute jingle bell collar. He looked like a court jester. As soon as I put it one him he went under the table and didn't come out all day till I finally took it off him. Thanks for a chance to win. I dress my pup up for Halloween every year. He tolerates it for a short while. Last year he was the UPS man which was hysterical because he barks at the truck or when one comes to our house and secondly because my hubby works for UPS. ematov (at) comcast (dot) net. Skittles was superbly the Halloween before her crossed the Rainbow Bridge. Haven't tried to dress Susy because I have literally been home in bed or hospitalized all except for two Mayo Clinic visits since we were matched. I do have bridal attire for her to wear at our daughters wedding. No fur baby dress ups here. Fun though. I tried but it did not work out. I tried to dress my dog up, but he didn’t like it at all. I finally gave up! cking78503(at)aol(dot)com. My beagle doesn't mind. He is a wooden statue. I dressed my Chihuahua up all the time she loved it. I attached those mini cereal boxes to a shirt and put plastic knives in them so that I was a cereal killer. My 10 pound shih tzu, Zoey, put a police dog cape on. Then I attached fake handcuffs to her leash that I wore. She was the crime solving police dog bringing me in. I need to get started on this year’s. I have never dressed my cats for Halloween, yet, lol. I have dressed them for Christmas and I received mean looks for a week after, lol. I forgot to add my email to my other post. I apologize for any inconvenience. I've never had a for baby that liked getting dressed so I've never dressed one for Halloween . Definitely not. Halloween is not her favorite holiday--too much work chasing away scarey creatures. No, with outdoor animals, I didn't even try. My dogs will not tolerate clothing of any kind. It would be bun to dress up a fur baby if you had one that would allow it. Ihad a Jack Russell for two days....then the little guy fell head over heels for my youngest son who was 15 at the time. He ignored me...he would jump and down telling me..” I have a boy! I have a boy!” There was a price to pay though...the boy dressed him up for Halloween every Year! The final time, Einstein (fur baby, not boy) dressed him as Dracula. The boy would look at him and growl...Einstein would roll back his gums showing his canines...looking like a proper Dracula! They were such a pair! My cats would not like that at all, though I have thought about it. mcastor07 (at) gmail (dot) com. I’ve dressed my granddoggy, Abby, up many times in her quilted winter vest. She looks adorable! No. If I tried to dress up my cats, they would disown me. My 2 Shih Tzus and 1 Papillon love getting dressed up but 2 cats hate anyone even trying to put clothes on them. I have, and they are adorable!! somesmartcookle @ aol dot com. cookle has an L, not an i.
I have 1 yorkie who would wear clothes, the other one tolerates them but doesn't like them. Our Pickles would not condescend to such shenanigans. Cats have their pride!